Amazing the things you stumble into. 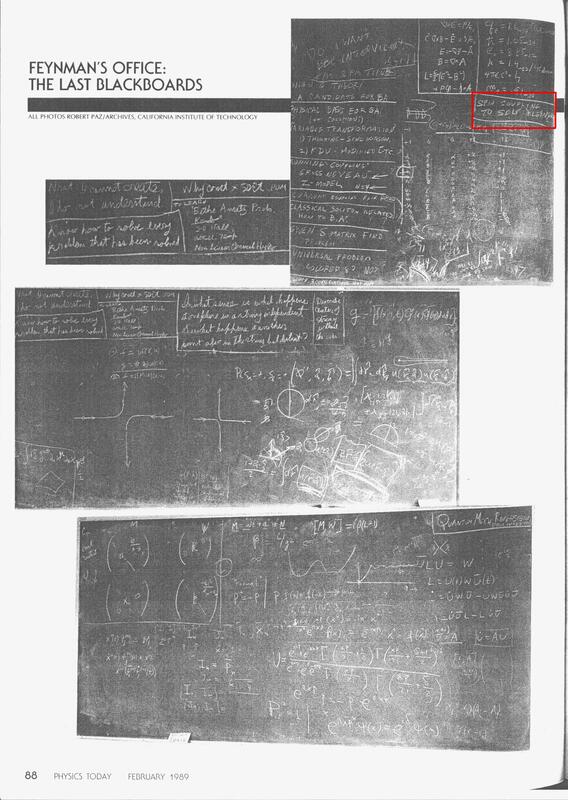 The boards in Feynman’s office, at his death. From Physics Today, 1989. Image posted at H. Kleinart’s site. Tip of the old scrub brush to Codex reperio. This entry was posted on Wednesday, April 1st, 2009 at 5:39 pm and is filed under Feynman, History, Physics, Science. You can follow any responses to this entry through the RSS 2.0 feed. You can leave a response, or trackback from your own site.